Free Software Friday is our regular Friday feature here at the dBs Music blog. We'll dig the depths of the music production webosphere and discover what downloadable freebies are worth double clicking each week. Of course, there's been software modular systems before, but the idea here is that the free open-source dev nature of the product might inspire some creativity in module development. Patch this software version with your hardware modular, and really interesting things start to happen. There's a video below from the awesome guys at BBoy Tech Report where they got to look at the software firsthand. Available for MC, PC and Linux it's certainly worth a download. 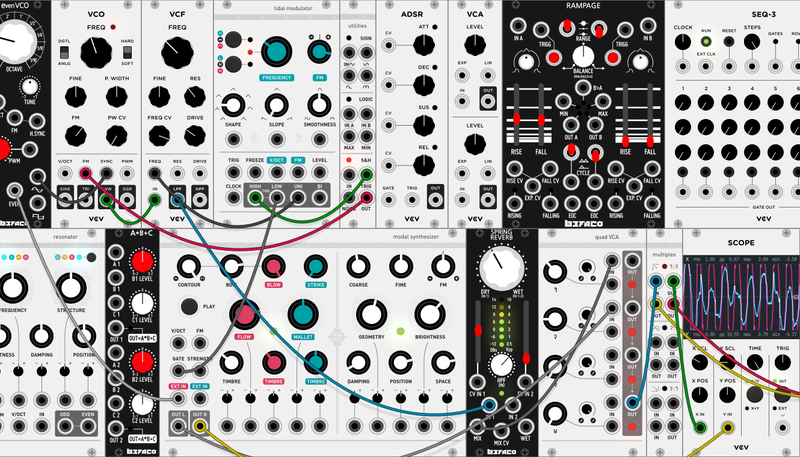 Next step is for VCV is developing the product from a standalone app to a VST/AU plugin which will make this free modular even more of a must-have! Interested in synths, plugins and electronic music production? Why not take a look at our hugely popular degree course?